The first two events in the lead up to the 2012 Olympics have already taken place. 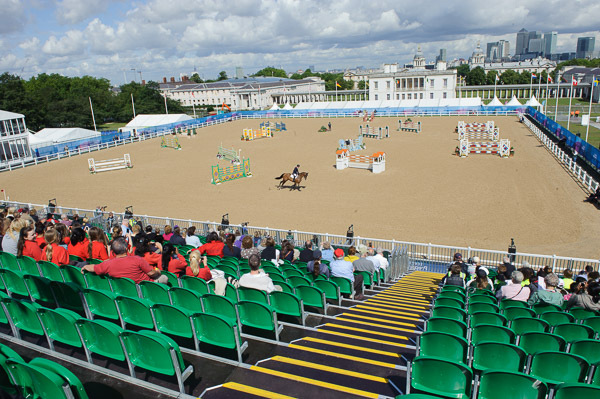 The equestrian event in historic Greenwich Park, was a great success, with really positive feedback from all the press. 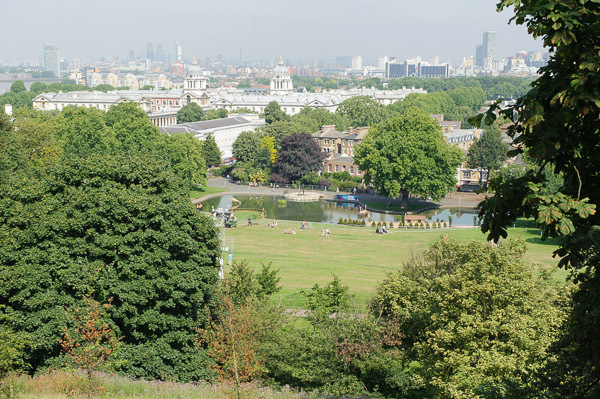 A couple of fences on the cross country course offer stunning views if the City, in the background and the water jump will, as always be a popular point for photographers, both from the jump itself and the hill in front of the Greenwich Observatory. The main arena, which will be considerably enlarged for the Games itself, sits on a raised platform above the surface of the park. One of the criteria for the use of Greenwich is that no damage is done to the park itself so pretty much all the infrastructure ‘floats’ above the park itself. Now the whole arena will be dismantled to return the park to it’s normal use prior to the Olympic reconstruction beginning early next year. A few days after the equestrian event it was the turn of the modern pentathlon to try out the facilities. As the venues for the fencing and swimming are not yet complete this part of the event took place at The National Sports Centre, Crystal Palace. This brought back some interesting memories for me as the same arena as the fencing was where I took my first photo ever published – Neil Adams then the World Heavyweight Judo Champion competing in the British Championships that was used in The Daily Telegraph way back in 1981! After the fencing and swimming the athletes made their way back to Greenwich for the riding, and running/shooting phases. 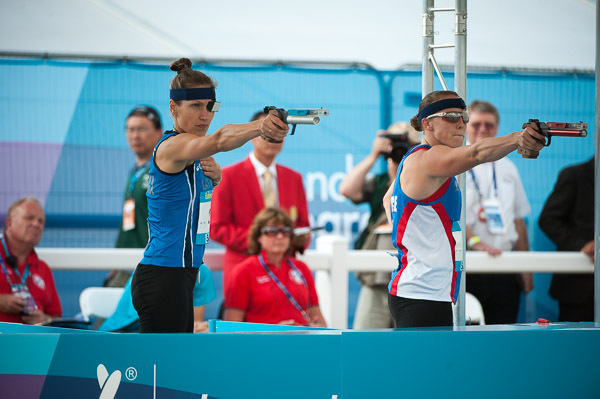 (Running and shooting is now combined together, the athletes running a section of cross country in between pistol shooting to score 5 targets – now using laser pistols). Now, after completing my reports on the first two event I need to start turning my attention to the forthcoming events. In the next few weeks there are quite a few tests running including sailing, mountain biking, badminton, and white water kayaking. Watch this space for photos and reports from these events.